Once you’ve gotten engaged and are ready to start planning the wedding of your dreams, the next step is deciding on the perfect location for your nuptials, that special spot where you and your partner will say your “I do’s.” Your wedding is one of the most important days of your life, and if you’re looking for a surefire way to make your wedding stand out as an unforgettable experience, both for you and for your guests, planning a destination wedding in Puerto Rico is a step in the right direction. Not only is Rincon Puerto Rico known for its stunning cerulean water, breathtaking vistas and cloudless blue skies, it’s also home to dozens of gorgeous venues just waiting to host your destination wedding. Notify your guests well in advance. Once you pinpoint Puerto Rico as your destination of choice, let your guests known as soon as possible, so they can start making arrangements for travel, accommodations and childcare. Embrace the tropical setting. One of the best things about planning a Puerto Rico wedding is that the island itself is naturally gorgeous. Save big on décor and catering costs by incorporating native blooms in your centerpieces and opting for local specialties at the reception, like empanadas or mofongo. 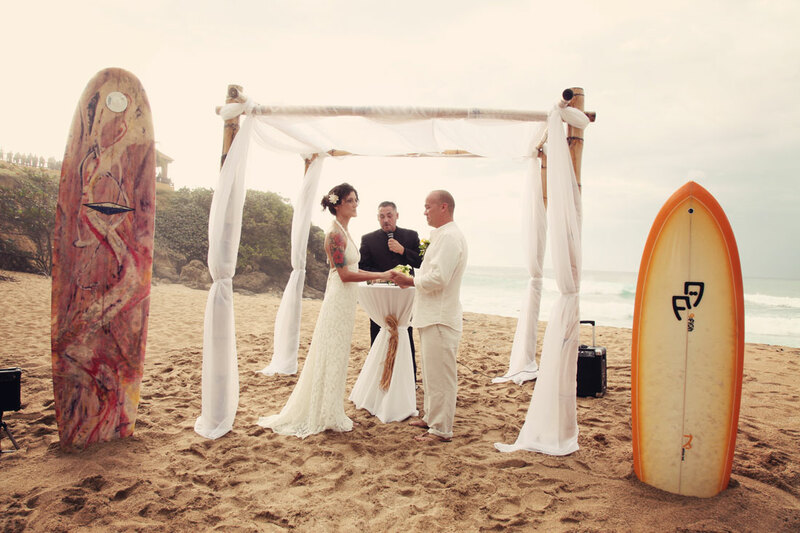 Instead of booking a venue for both the ceremony and reception, consider tying the knot on the beach at sunset. You’ll better stick to your budget and your guests will really get a feel for the island’s unique culture. Visit in advance. Ideally, you and your partner would visit your Puerto Rico wedding venue at least once before booking, and then again a few months before the wedding to finalize the details in person. If travelling to PR isn’t possible, arrive at least five days before the wedding to tie up any loose ends. Consider a two-for-one wedding and honeymoon. Rather than packing up the day after your wedding and heading to some far-flung part of the world to celebrate your nuptials, consider spending another week in Puerto Rico and getting the most out of your trip with a wedding and honeymoon in one. 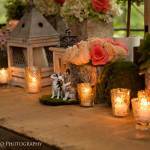 Hire a Puerto Rico wedding planner. The most difficult thing about planning a destination wedding is putting your big day in someone else’s hands, but having an expert on-site who speaks the language and is familiar with the venue and local vendors will save you time, money and aggravation in the long run. Just because you can’t be on-site throughout the planning process to make sure every detail is perfect doesn’t mean your destination wedding won’t be the event you always dreamed of. 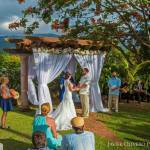 At All Events Puerto Rico, our Rincon PR wedding coordinator is committed to making your vision a reality, and will work with you every step of the way to bring your dream wedding to life. For more information about how to plan a wedding in Puerto Rico, or to get started designing your dream destination wedding, contact All Events PR today at (787)556-8961.